So many WIPs, so little time! Looking at our post history, I have become painfully aware that the last post was over a month ago! I’ve had so many projects on the go, that I haven’t had anything significant to write about. The other Quiltuplets also have stories they are eager to share, including my sister who has two posts planned. She left for the Great Northern Canoe Expedition at the end of June, so her posts will be available in August when she gets back. A quick aside – Stéphanie has embarked on an incredible canoe adventure. She and five others are in the Northwest Territories and are canoeing from Yellowknife to Baker Lake in Nunavut, via the Thelon river (or Thelong river as Stéphanie calls it). We receive daily updates about their location through a SPOT device, so I have made a map and have been following the progress on their 50+ day journey. I am sure she will have great stories to tell, and maybe even inspiration for some quilts! So, what have I been up to? As a member of the Modern Quilt Guild, I have been working on the Michael Miller Challenge. 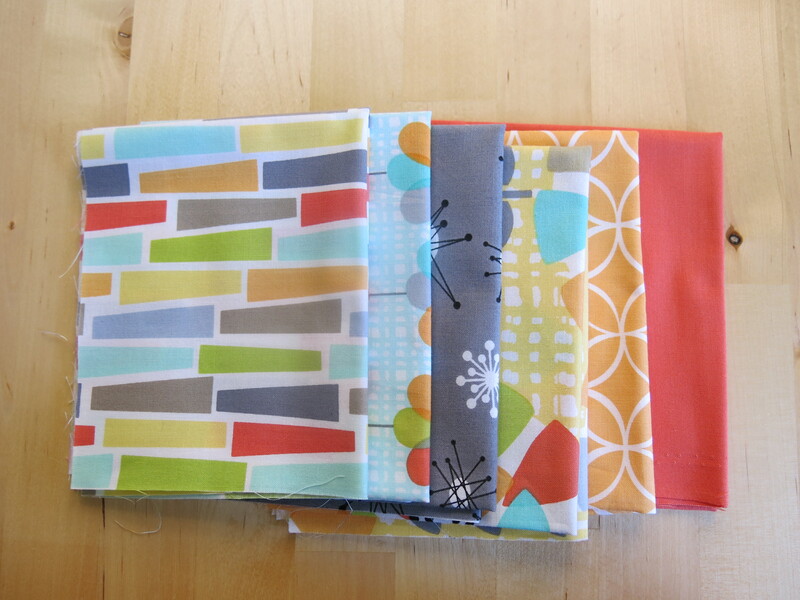 The idea is to make anything quilted, using these fabrics and any other Michael Miller or solid fabric. I am almost finished my entry, and I will post photos at the end of the week! I have also been working diligently to build my stash (not that any help is needed!). I like to wash all my fabric as it comes in so that anything I pull out is ready to go. I know a lot of people don’t pre-wash, but I would hate for anything to shrink after washing. Most of the quilts I make are meant to be loved and used a lot, which means they will also need a lot of washing. I took advantage of many online quilt sales this summer. 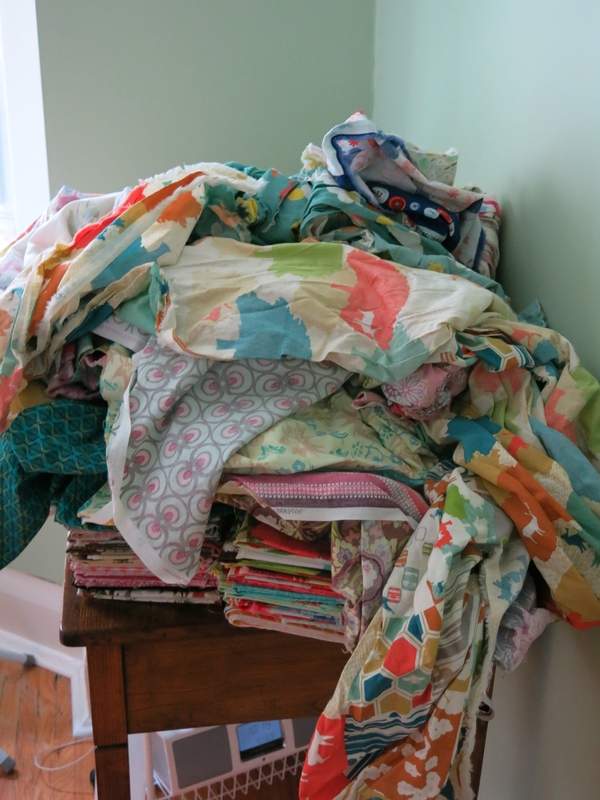 The pile only looks so big because all the fabric is bunched up and crumpled (or so I tell my husband). I have a big pile of newly started projects, but I’ve been fairly good at keeping them organized. Clear plastic boxes keep projects together and make it easy to see what’s inside. 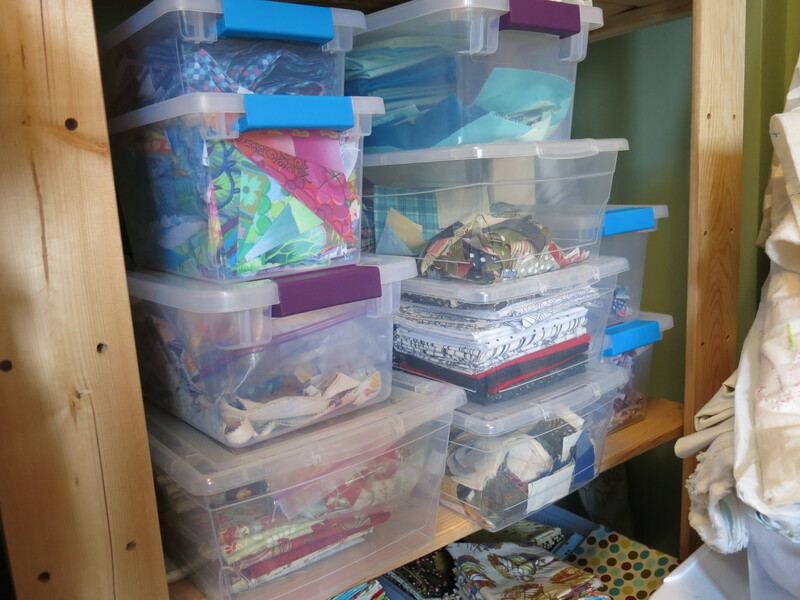 We’ll be doing a post later about our sewing spaces, so I’ll share more then. The other main thing I’ve been doing is finishing up old projects (to clear the way for new ones!). Unfortunately, this means a lot of seam ripping and picking out quilting. Some of this work is very tedious – like the above photo. 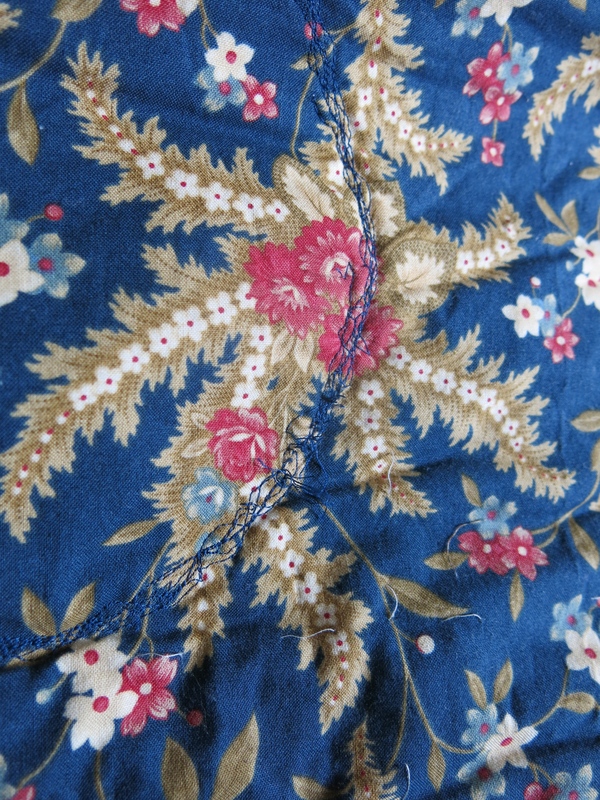 I’d started quilting a certain way, and it looked pretty bad. Now that we have the longarm machine I have a reason to pick it all out so I can redo it properly. Most of the things I need to redo are because I was quilting while tired or impatient and didn’t pin properly or just let standards slip. A stitch in time really does save nine!